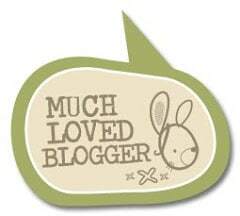 Staying true to the name of this blog, I’m handing over to my lovely hubby, Shilts. When you fall in love and marry someone, you accept all their really annoying habits and his chronically loud snoring was definitely one of them (we’re still working on unloading the dishwasher!) Here’s Shilts’ story about how falling asleep nearly cost him his job, his driving licence and ultimately his life..
“Mr Shilton, when you are asleep, you stop breathing 80 times every hour”. This is a post I have been meaning to pen for quite some time, and Emma suggested that if I ever did, she would publish it, giving me a chance to tell my story. In my own typical style, I procrastinated for a while, but have finally got around to putting fingers to keys. I had never heard of Obstructive Sleep Apnoea (or OSA) until 2013. It is safe to say that 2013/14 was a pretty crap couple of years for several reasons, but my life changed in a big way on a February afternoon in 2014. In order to fully explain myself, I need to roll things back a few years, so please indulge me. I tried drinking, not drinking, caffeine, no caffeine, Breathe Right strips…I remember a particularly embarrassing incident when the fire alarm rang (anyone who has lived in Halls of Residence will know that this was a weekly occurrence), and Muggins here went dashing out in pyjamas, blanket, and yep, you guessed it, Breathe Right strip. Bear in mind, that this was before poncey Premier League footballers started wearing them and made them cachet…I looked a right prat. The snoring just continued to blight my existence. I am still surprised that my wonderful wife put up with it for so long, it can’t have been pleasant for her. Earplugs became a must-have for a decent nights’ kip for her, and I can recall countless times when I would wake up to find an empty bed next to me, and the spare bedroom in use, when even the earplugs couldn’t hack it. As a teacher, I used to quite enjoy Duke of Edinburgh expeditions, but in the end, I had to pitch my tent in the far corner of our camping field, just so my fellow colleagues and students could get some kip. My cousin will also recall a similar experience after a trip to London to watch the darts, he and I were sharing a hotel room and I woke to find the poor devil had opted for the bath rather than listening to another second of my traction engine-style nasal passages. You are probably reading this and wondering how I have made it through life with any friends left at all! All I can say on that front is that I am grateful that everyone stuck with me, and that they were also there for me when my life took a bit of a shocking twist. I would say that I had noticed myself feeling more and more tired during the daytime over a few years. It hadn’t just started one day, but over time, I began to feel, well, permanently knackered. At the time, I put it down to a few factors, well more questions actually: Was I getting to bed early enough? Was I getting enough quality sleep? Was the arrival of Little Mr having more of an effect on my sleep than I thought? Did I need to stop watching TV late at night (a habit I have carried over from my youth) Did I need to put my phone down? So many questions. No real concrete answers. Of course, the wonderful arrival of our son brought with it a familiar story for all parents, midnight feeds, late nights, disturbed sleep. ‘But surely its the same for both of us’, I used to think, ‘can’t complain, gotta get on with it’. I can still hear the surprised exclamation of my work colleague, who had been chatting to me about something, I couldn’t even tell you what it was. My eyes had gone, and I had momentarily dropped off, before awaking with a start and having to apologise profusely. I wish it was a one off, I wish I could tell you that it was the only time it happened at work, but it wasn’t. Any sort of quietness, any sort of time when I was working alone, my eyes would get heavy, close, and i’d be gone. Just for a moment or two, but enough to awake with a start and wonder what the hell I was doing. As time went on, it was happening more frequently. The snoring hadn’t gone away either. Emma completed her maternity leave and returned to work, so it was essential that she was also able to sleep. Due to our son now sleeping in his own room, the earplugs were out of the question as she needed to be able to hear him if he awoke in the night. I was also stopping him from having a good nights sleep, so I made a decision around the summer of 2013 to begin sleeping downstairs on our inflatable airbed that we used for camping trips. It was the only way that everyone could get proper rest. But the tiredness continued. I was most definitely in the stage of denial by this point. Emma reminded me of a situation that I think I had blotted out of my mind. The three of us were heading on a trip to Chester Zoo, and as usual, I wanted to drive us there. 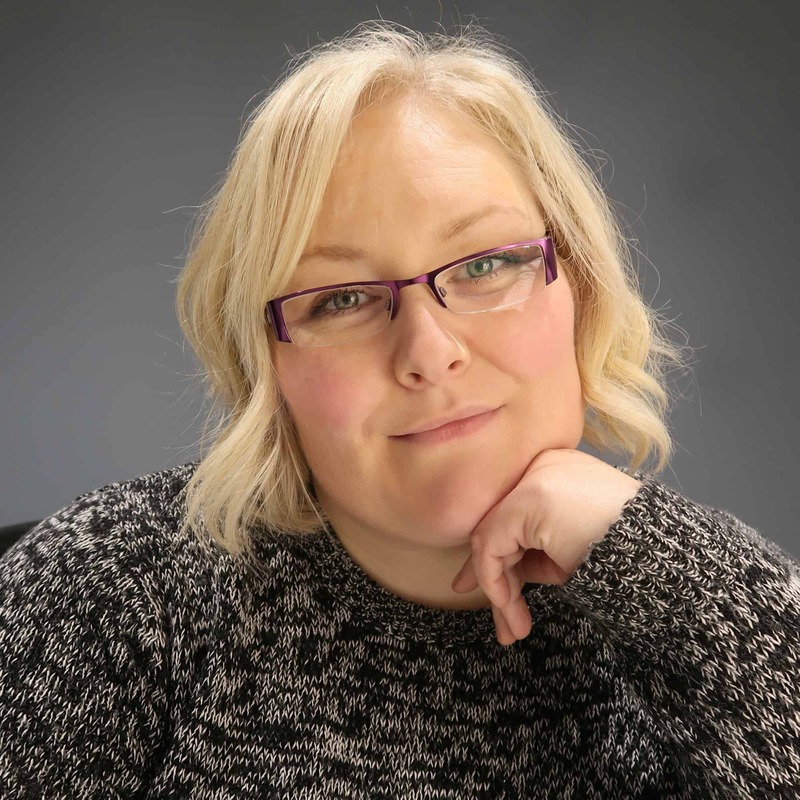 As we were trundling up the M6, I felt a familiar tiredness, and the next thing I know, Emma was shouting at me from the back seat, as we were drifting across from the inside lane to the hard shoulder. I forced myself to stay alert for the remainder of the journey, but it was a very scary moment. It all reached a head in November 2013. I was driving home from work one day, and pulled up at a set of traffic lights. It had been a busy day (when isn’t it as a teacher? ), and as I put the handbrake on, I felt my eyes get heavy….and you can guess the rest. Fortunately, and I am so grateful for this still, I didn’t hurt myself, or anyone else, more importantly, I awoke with the lights still red, and having not moved anywhere. It was a frightening moment, and prompted me to immediately seek help. This was not normal. This was not just tiredness, or lack of sleep. I was not well. I came straight home and discussed it with Emma. I needed to speak to someone. My work was being affected, my marriage, my life. I made a conscious decision that day to stop driving, until I had some answers. I hated sleeping alone. I hated being permanently tired. I was beginning to resent things, I was irritable, my usual good humour had all but evaporated, and even though I put up a brave front on the outside, inside I was suffering. I will forever be indebted to the young doctor that I saw at my health centre, after making an appointment. He listened to everything I had to say, and immediately referred me for a full MOT, and then an appointment at the sleep clinic at my local hospital. I went for blood tests, a scan, cardiologist appointments, a 24 hour heart rate monitoring, the full works. Then the waiting began, as I needed to be patient until February 2014 for my sleep clinic appointment. I need to mention my work colleagues here, in particular Steve, who rallied around me. My self-imposed driving ban, which was also advised medically by the doctor, had meant that getting to and from work suddenly presented a problem. Those of you that know me will know that I hate taking time off, and I didn’t take a single day during those months. I hate letting my students and colleagues down, so I literally have to be comatose in bed to even consider not showing up for work. I had to invest in a bus pass, and my journey home took 2 buses, and around an hour and half’s travelling. Not cool in my job, especially when there is work to be done once home, along with trying to spend some quality time with my family and son. My reasons for mentioning Steve, is that bless him, he picked me up from home every day for three months, and would often drop me home too, if I left at the same time. He ferried me all over the place, along with many other colleagues, several of whom went out of their usual way to help me get a bit closer to home. You really do discover how rich you are in terms of friends in times of need. Those three months were hard. I lost my nan in the January of 2014, and that hit me harder than I ever imagined. Looking back, it was probably her sudden and very unexpected death, added to the uncertainty of what was happening to me which made life very tough, and I felt very low for several weeks. I am deliberately not mentioning my family yet, because I need to save that for the end of the piece, so don’t think I am neglecting them! The waiting was finally over, and in early February of 2014, I attended the sleep clinic at my local hospital. I am rather fortunate that this is just 10 minutes from my house, as I have since discovered that sleep clinics are a bit more few and far between around the country. What is the chance of dozing/dropping off when watching TV? An answer of Zero to each question means you would never doze off, One is a slight chance of dozing, Two is a moderate chance of dozing and Three is highly likely chance of dozing. My first Epworth score was 21 out of a possible 24, so pretty high! It was a self assessment, but the consultant asked the questions and used my answers to ascertain my sleepiness levels, so it’s not in anyone’s interests to sugar coat the facts. After examination, the consultant concluded that it was likely that I was suffering from OSA, or Obstructive Sleep Apnoea, as I mentioned at the start of the post. I would require a sleep study to fully determine this, and so around a week later, I returned to the clinic to collect the study equipment. So, there I was, one night in February, at home with a monitoring device strapped around my chest, breathing apparatus under my nose, and a finger probe attached. Good night! I was convinced that I was never going to get any sleep that night, I had never tried sleeping in anything like the contraption I was hooked up to. I must have done, however, as I was called in a few days later with the results. Shocked was an understatement. I was shown an excerpt of the graph that the monitor had produced, which showed that not only was I stopping breathing on average 80 times every hour, my heart rate was also peaking and troughing all night long, as it was being deprived of oxygen. This, as was pointed out, if left untreated, could have led to stroke, heart attack: it didn’t even bear thinking about. It was also noted to me that I was classified as being in the “Severe” category of OSA. It blew my mind. If you are wondering how on earth this condition comes to exist, well I was wondering the exact same thing. In my case, it is physiological. When a ‘normal’ adult sleeps, your muscles relax. In some of you, your airway narrows due to this muscle relaxation, causing snoring. In my case, my muscles relaxed too much, causing my airway to close completely. When this happens, my body uses up the oxygen available, until it is spent. At this point, my brain receives a warning, that my body requires oxygen, which immediately has me gasping for air. All of this of course is occurring whilst asleep, but if you are constantly being awoken from deep sleep to breathe, this is going to have the knock on effect of disturbed sleep, tiredness, and all the familiar symptoms. So what is the treatment? My new best friend, the CPAP machine, or Continuous Positive Air Pressure. Following the sleep study, I was issued with a machine and a breathing mask, connected with a plastic tube. The machine then forces the air from the room into the tube and down into the mask at the required pressure to keep my airway open. It is a miracle of medical science. The first night that I had the machine was incredible. I awoke the next morning feeling like a new man. I felt like I had such a deep sleep, and the effect it had on me was amazing. The first machine I had was a variable pressure device, and was used by the clinic to determine the correct pressure for me. 2 weeks later, I returned to the clinic to swap this machine for my permanent device, which was set to my individual requirement. (I am on a pressure of 14, the maximum the machine is able to handle is 20!). If you are wondering what it feels like to sleep in the mask, the best description I can give is slightly weird at first, but you soon get used to it. It feels tight around the back of the head, and I had to adjust the straps a bit to ensure a good fit, but eventually you find the setup that is right. I suffered a bit at the start with the bridge of my nose developing soreness, however this was to be expected, as it was something that my face needed to get used to. It made wearing my glasses a bit painful for a while though (ouch! ), however was soon remedied with investing in a silicone nasal pad, lovely and comfy now! As an additional note, being comfortable in bed is essential so buy yourself a comfortable mattress, cosy pillows and duvets to really help you relax at night. Take a look at supplies here. I am now 18 months into my therapy and what a difference. I now am stopping breathing less than 5 times an hour on average (putting me firmly in normal territory for an Obstructive Sleep Apnoea sufferer), and my machine shows that I am achieving around 6 hours of excellent quality sleep every night. My snoring has all but stopped (cheers from Emma), and for the first time in years, I am starting to remember my dreams again – I probably hadn’t experienced rapid eye movement in a very long time. I have accepted that this is the rest of my life now. The OSA will never be ‘cured’, but the treatment is the long term solution. I now need to mention my family. Firstly, Emma (aka MrsShilts) quite frankly, I don’t know how she put up with me. My snoring was bad, I knew that, but it must surely have been grounds for divorce in the middle of the night. She is, and continues to be a great support to me, and without her, I would be nowhere. I love you. My son, who has accepted Daddy in his mask without question, and is neither scared nor worried by it, it is is simply ‘the way it is’. I love you son, you make me so proud every day. My parents are also incredible. My Dad came along to the clinic with me a few times, and they have always been there for me, and ferried me about when I wasn’t driving without hesitation. I love you guys too. My in-laws too, mother, father and sister, were so supportive, helping me out with all sorts. My brother and his partner too, for their help, support, listening to me, I love you all too. All of my extended family and friends, who helped me both mentally and physically. I love you all. Basically, I love everyone. Because without everyone, I maybe wouldn’t be here to tell this tale. My closing point on this post is also one I feel is possibly the most important. If you have read this, and any of it resonates with you, either for yourself, a family member, a partner, a friend, please go, or urge them, to check it out. Untreated sleep apnoea could have severe consequences if left unchecked, and whilst the therapy is for the rest of your life, at least that life is intact. As I often say to my students, the only stupid questions are the ones you never ask. Thank you for reading, and if I have bored you to tears, I apologise and will never darken the pages of my wife’s blog ever again. If you enjoyed my writing, do let the boss know…maybe I can return with more musings in the future! Greg Shilton is the husband of Emma, the blogger behind Life According to Mrs Shilts. Greg is a Senior (in title, not in age) University Lecturer and father, and is an avid sports fan, Walsall FC season ticket holder and darts player. This was a fantastic blog. It is almost my story I have been on cpap for almost 5 years. But unlike you I just stared at my machine in the bag for 3 months before putting it on. Bit of a mistake because I lost 3 months of good therapy. I hope many more people read this. My husband also suffers from OSA and I remember him suffering many of the symptoms you describe. Being in a car with him if he was tired was terrifying but thankfully he didn’t have any accidents because of it. I suspected OSA for quite some time before he got diagnosed – it took me recording his snoring and how he would stop breathing for up to 45 seconds at a time to make him aware how serious it was. He has been on CPAP for a couple of years now and feels so much better for it. I’d coped well with his very loud snoring but I’m glad it’s gone now! The girls are used to the fact that Daddy sleeps in a “Darth Vader mask” as I call it. Glad that CPAP is also working well for you and thank you for helping to raise awareness. What an interesting read but how frightening it must have been to find yourself randomly falling asleep! I am pleased the treatment is working for you. Thank you for sharing, I found I was borderline which is interesting as I am always tired and I snore really heavily. I’ve been using a VPAP machine since 7/20/2007, or eight years now. I was 54 years old at the time, and am now only about 3 weeks from my 62nd. birthday. My experience is very similar to Mr. Shilton’s, except that I suffered with OSA for well over thirty years before having it diagnosed and treated. My OSA was so severe, the air pressure was 30/25, and required the permanent use of a VPAP (variable positive airway pressure) instead of the more common CPAP. My voyage of discovery was rather long; too long to go into here, without a blog of my own. I have a number of rather humorous (after the fact) anecdotes concerning snoring, including an overnight stay in the local jail (the first, and LAST time; I’m no recidivist; I learned my lesson the first time). Mr. Shilton has inspired me to finally relate my own experience with OSA in detail, which I shall begin to work on in the very near future. In closing, I forgot to mention how much my life and health has improved by the use of my VPAP machine! Thanks for sharing! I had some pretty bad sleep apnea while I was pregnant. I don’t know if I could justify a CPAP machine for the last trimester of snoring, though. I hear that there are mouth guards that reposition the jaw – has your husband tried those? My co-workers used to laugh at me when I would doze off. They figured that I was just staying up all night and being foolish. I thought it had to do with my shift work. (no doubt that didn’t help). Turns out we were both wrong… I had (and have) Obstructive Sleep Apnea. It took a few tries before I found a mask that I liked but now I’m getting a good 6-7 hours of restful sleep per night, and I don’t doze off at all. Love the title of this post… I recently packed up my machine when I was staying in a hotel room, and my friend looked at me and told me that I looked like “an asthmatic Darth Vader”. So I can definitely relate! Very good piece, I read every word, Not normal for me, and so good to get an understanding of this condition, so thank you for that too. Wow, I thought I have it bad with my snoring. I’m glad you found something that can help with your apnea. I’m currently using nasal spray and mouthpieces which helped to stop snoring heavily. The reason why I snore is mainly my big tonsils and hay fever. I often had infected tonsils as a child. Seem’s like a got my payback now :-).